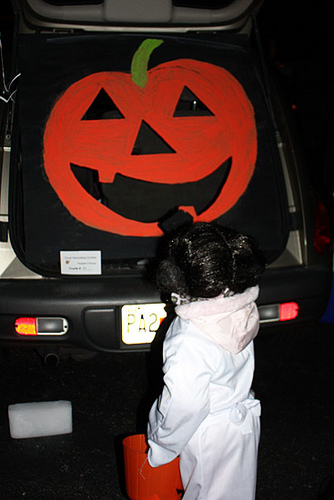 This year our church is hosting a Trunk of Treat for the first time and I am very excited. Hubby and I have already been on Pinterest looking for great ideas. 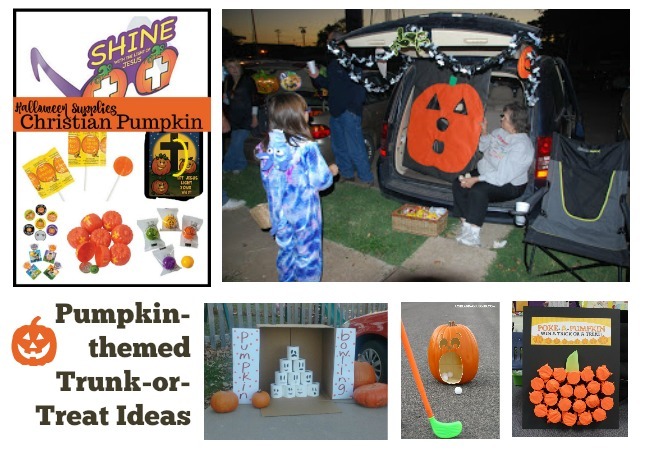 We have decided to a do a Pumpkin-themed trunk idea with a game for the kids to win a prize (candy and glow bracelets). 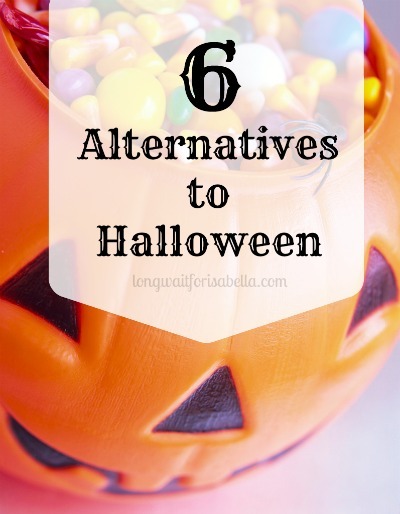 I choose the pumpkin theme because it’s more Fall Festival style, is non-scary and Oriental Trading has great Christian Pumpkin Halloween supplies. Shop Oriental Trading for Halloween Candy and Glow supplies. 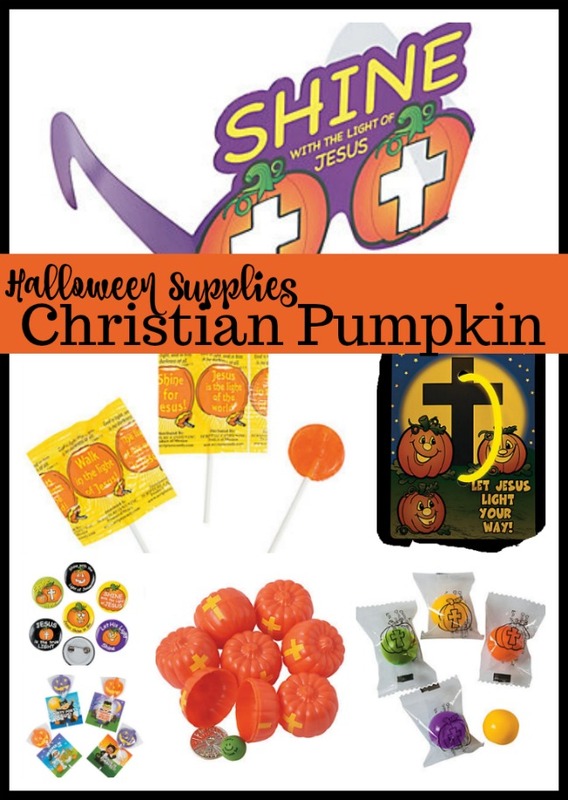 Check out these Christian pumpkin Halloween supplies! 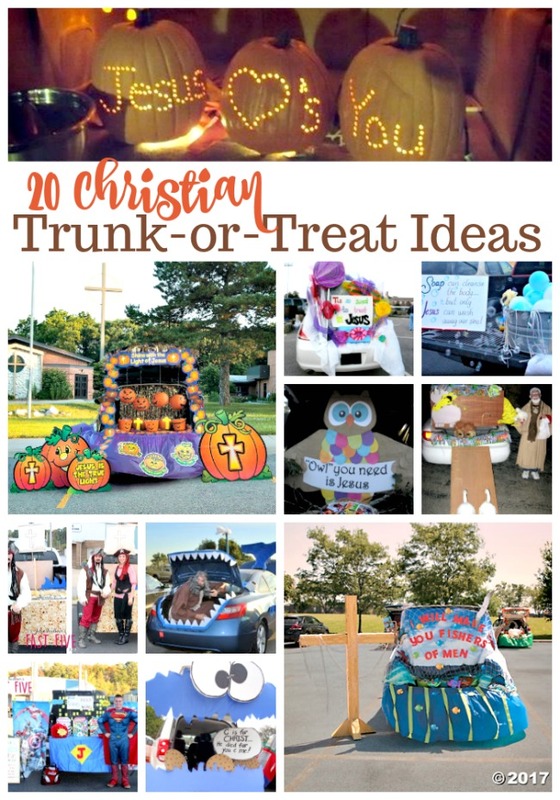 I’ve scoured Pinterest to find as many Christian Trunk or Treat ideas that I could. I’ve come up with some great ones. 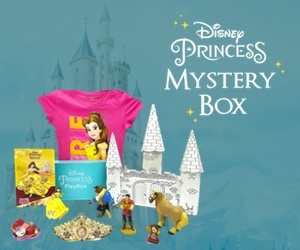 After you check these out, scroll down and see what one my hubby and I have decided on! 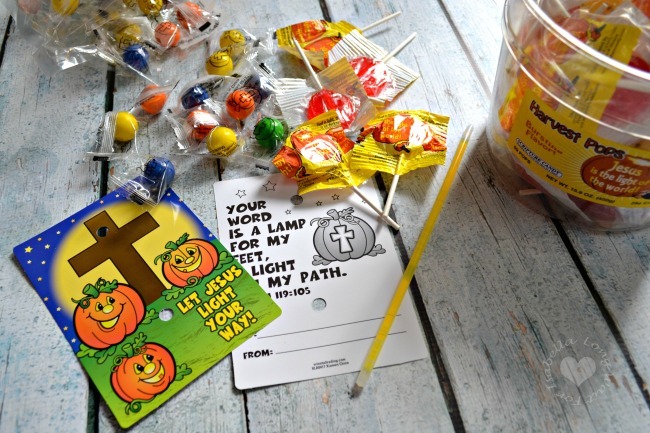 20 Great Christian Trunk-or-Treat Ideas! 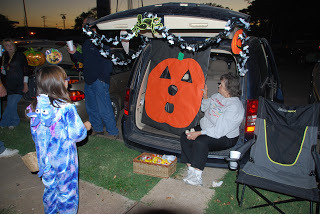 So for our Trunk or Treat this year at church, my hubby and I are going to recreate the Pumpkin Toss Trunk! We think that the kids will love having games to play at our vehicle! So we’ll have a Pumpkin Toss Trunk, give out Christian pumpkin treats and glow bracelets from Oriental Trading, and possibly having another game or two beside our vehicle. Disclosure: This is a review post with Oriental Trading. All opinions are mine alone. Cool ideas… It will suit the kids’ mentality as well.